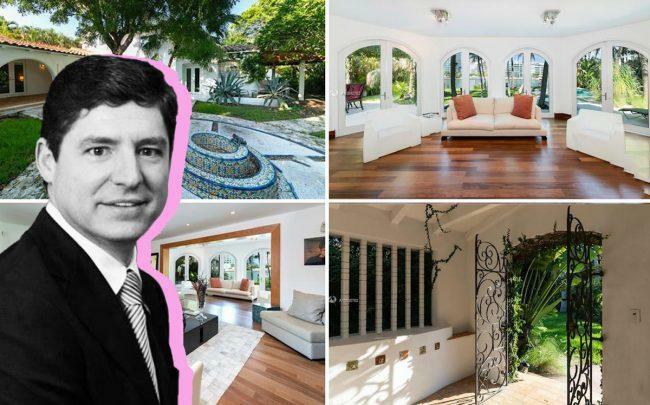 UPDATED, April 12, 3:05 p.m.: Heico co-president Eric Mendelson just closed on a waterfront Miami Beach estate next door to his home. Mendelson, who is also president and CEO of the Heico flight support group, paid $5.1 million for the property at 6621 Allison Road as trustee of the DHM Trust. The seller was the Carillo Pesenti Pigna Revocable Trust, led by trustee First National Bank of South Miami. Pigna’s family company, Cartiere Paolo Pigna S.p.A. in Italy, manufactures paper products like diaries, agendas, notebooks and planners. Pigna died in 2011, which resulted a legal fight over his estate, according to Italian publications. Property records show Pigna paid $3.15 million for the Allison Island home in 2010. The four-bedroom, four-bathroom house has 100 feet of dock space, a master bedroom that takes up the entire second floor, a pool and a lounge area. The 3,600-square-foot house sits on a 19,800-square-foot lot. Mendelson and his wife, Kimberly Mendelson, own the 12,000-square-foot mansion at 6633 Allison Road. They paid $8.6 million for the property in 2013. In November, rapper Lil Wayne dropped nearly $17 million on the waterfront mansion at 6480 Allison Road. Heico Corp., a publicly traded company based in Hollywood, is a technology-driven aerospace, industrial, defense and electronics company that makes products for large commercial aircraft, regional, business and military aircraft, according to its website.